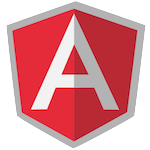 Both AngularJS and Bootstrap are easy to use in Visualforce pages that work both on desktop browsers and in the Salesforce1 mobile app. Make sure you enable the Available for Salesforce mobile apps option when creating the Visualforce page so that it can be made available in the Salesforce1 app. After creating the page you can create a new tab in Salesforce by going to Setup > Create > Tabs and selecting New in the Visualforce Tabs section. To enable the new tab to show up in the Salesforce1 app go to Setup > Mobile Administration > Mobile Navigation and then add the new tab to the selected list and save it. The Bootstrap CSS in this example uses the Salesforce1 themed version of Bootstrap so that the UI matches the look of the Salesforce1 app. With your first AngularJS and Bootstrap enabled Visualforce page now working you are ready to build modern web apps on Salesforce1! Also, be sure to check out the Salesforce Mobile Pack for AngularJS, which lets you quickly build mobile apps that access Salesforce data. Let us know how it goes.